Comments: Spray-In Bedliner, Satelllite Radio, Uconnect, 8.4 inch Touch Screen, Class IV Hitch Receiver! Our 1500 Classic's trim level is SLT. 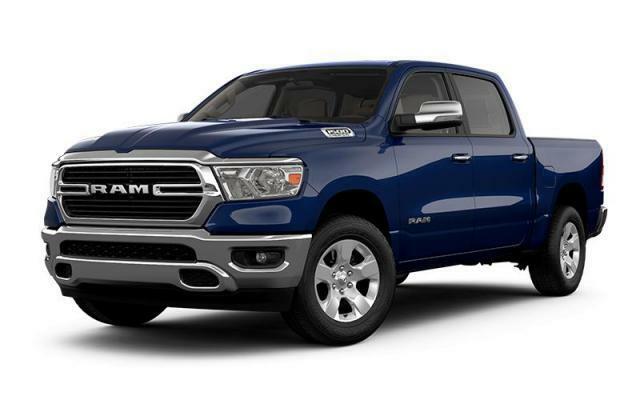 This Ram 1500 Classic SLT is a great blend of features, value, and capability. It comes with a Uconnect infotainment system with Bluetooth streaming audio and hands-free communication, SiriusXM, a mini trip computer, air conditioning, cruise control, power windows, power doors with remote keyless entry, aluminum wheels, six airbags, chrome bumpers, and more. This vehicle has been upgraded with the following features: Spray-in Bedliner, Satelllite Radio, Uconnect, 8.4 Inch Touch Screen, Class Iv Hitch Receiver, Remote Engine Start, Heated Sets . View the original window sticker for this vehicle with this url http://www.chrysler.com/hostd/windowsticker/getWindowStickerPdf.do?vin=1C6RR7LT9KS621859. We've discounted this vehicle $3968. Total rebate of $15742 is reflected in the price. Credit includes up to 25% of MSRP Discount. 4.29% financing for 96 months. Payments from $533.14 monthly with $0 down for 96 months @ 4.29% APR O.A.C. ( Plus applicable taxes - Plus applicable fees ). Incentives expire 2019-04-30. See dealer for details.